Game Data Live can utilize a file server to improve performance and make your Game Data Live network more robust. 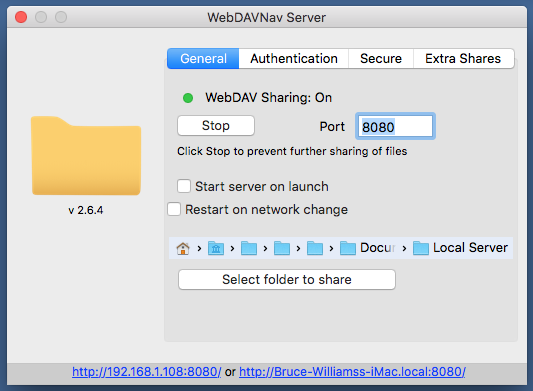 A FREE HTTP WebDAV server called WebDAVNav Server is available at the Macintosh App Store. 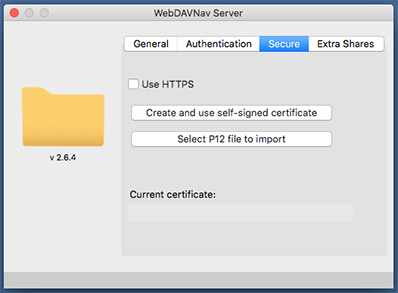 Of course, you'll need a Macintosh to run WebDAVNav Server. For best performance, you will want to connect your Macintosh to your router with an ethernet cable. The first thing you should do is install Game Data Live for Macintosh and give it a run so that "Local Server" folder gets created. The "Local Server" folder is located in your "Library" folder which is located in your "Home" folder. The "Library" folder is usually hidden and we need to make it visible to get access to it. In the Finder - use the "Go" menu to get to your "Home" folder. 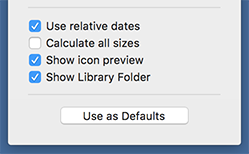 To make the "Library" folder visible, you can use the "Show View Options" command from the Finder's View menu. In the window that appears, check the box titled "Show Library Folder". If you are successful, your Home folder should now show a Library folder. WebDAVNav is available from Apple's Macintosh App Store. To access the Macintosh App Store, look for the "App Store" command under your Apple menu. Once in the App Store, search for "WebDAVNav". Click on the INSTALL button to download the software. You may be prompted for your Apple ID and Apple ID password. 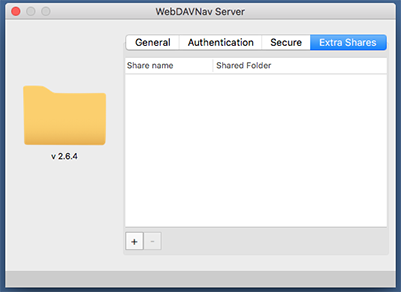 After installing, you should find a WebDAVNavServer.app in your Applications folder. 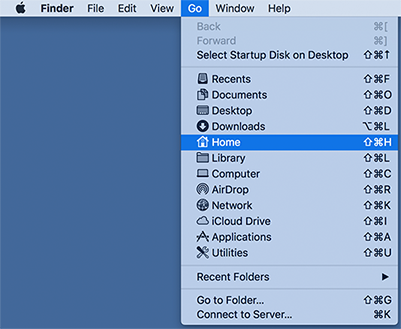 You can find the Applications folder by using the "Go" menu in the Finder - just like we did to find the Home folder. WebDAVNavServer's icon looks like a file folder. You can drag WebDAVNavServer's icon to the Dock to make it easier to launch. 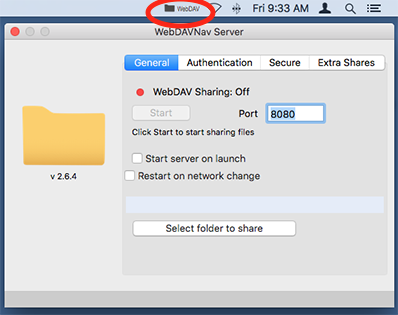 Launch WebDAVNavServer.app by double clicking on it or by using the icon in the Dock. WebDAVNavServer should display the following window. Notice that it also adds a WebDAV menu item to the menu bar. 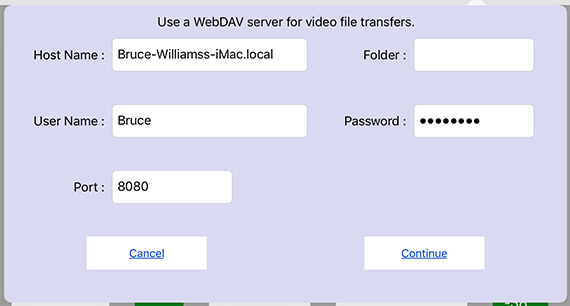 If the window gets closed, you can reopen it using the WebDAV menu. Just use the "Settings" command from the WebDAV menu. You can also Quit out of WebDAVNav Server with the menu bar menu. 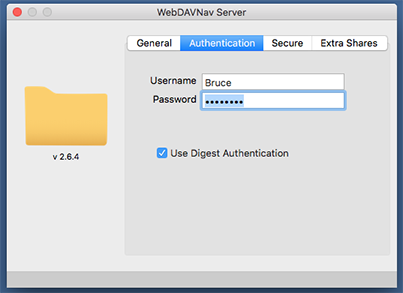 Click on the Authentication tab and enter a Username and Password for your WebDAVNav server. Notice the addresses shown at the bottom of the window. You can access your new server at those addresses. You might write that down somewhere. You can test your server by entering the address into a browser (http://192.168.1.108:8080). You should get prompted for your username and password and if its working, you'll see a window with WebDAVNav Server in it. Under the Network menu choose "Transmit Using Server" until a check mark appears on the "Transmit Using Server" menu item. Under the Network menu choose "Local Server" until a check mark appears on the "Local Server" menu item. With this option turned on, Game Data Live on the local macintosh will just use Macintosh file copies to access the Local Server folder. This can be faster than using the webDAV protocol. You can use the "Test Server" command under the Network menu to see if your settings are working correctly. In Game Data Live on an iPad, open a game and in the action menu in the upper right corner choose "GDL Network Settings" and then choose "Use WebDAV Server". In that same action menu from the upper right corner, choose "GDL Network Settings" and then flip the Transmit Using Server button to the On position. You can use the "Test Server" command under "GDL Network Settings" to see if your settings are working correctly. 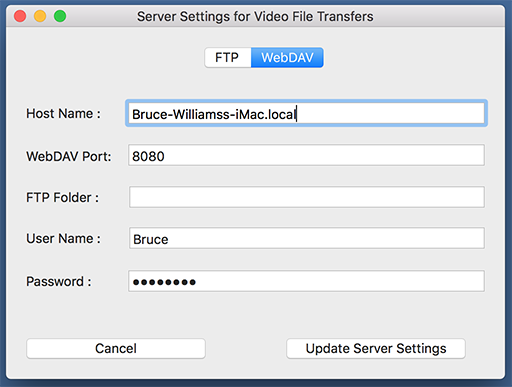 Video transfers should now be using the HTTP WebDAV Server when you transmit them. You'll notice that the sending device uploads to the server and then the receiving device downloads from the server. They both do not transmit simultaneously. The sending device also sends the server setup info to the receiver, so you should not have to configure the receiver. A Game Data Live device capturing video should be able to transmit its file twice as fast now. The receiving device should see similar speed gains.